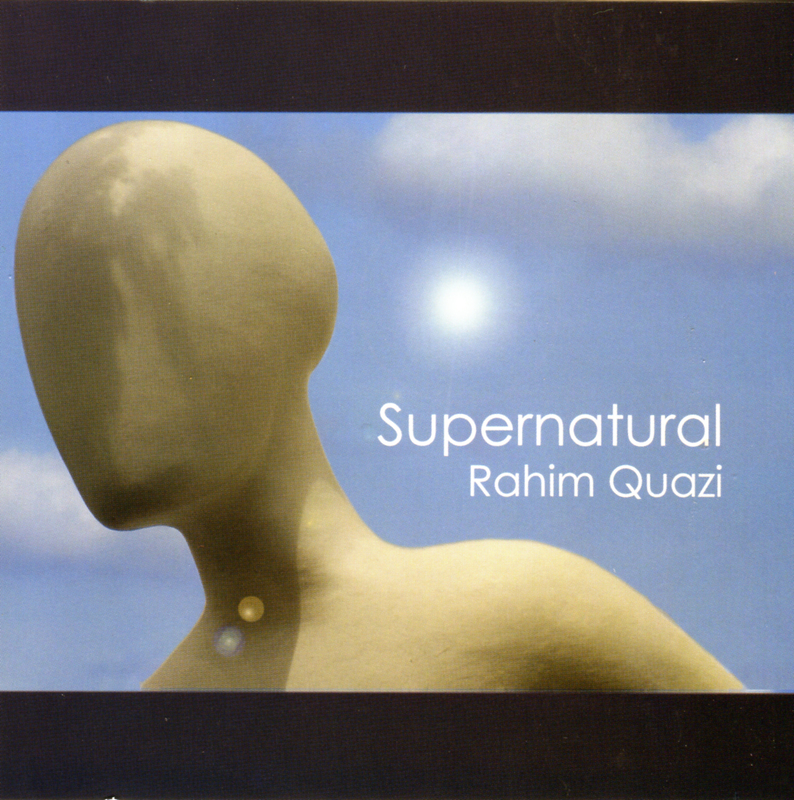 Rahzim Quazi - Supernatural - ALL TEXAS MUSIC- SUPPORTING DIVERSE TEXAS MUSIC! Music Store, CD, Vinyl, Satellite, Web Radio and MUCH more! The Best Little Website In Texas! Thank you for looking for more album info. In this section of the website, I will attempt to give a deeper meaning to the pics, text, and songs on the album. The original title was Supernatural because I loved the concept and then it changed to Gifts and Burdens because the songs created pictures of ups and downs. I thought the title summed it up, but then my daughter, Jess, took a photo on a trip to Germany that screamed out Supernatural———-so, there it is. My first session was June 6, 2006 at Salim Nourallah’s Pleasantry Lane Studio in Dallas, Texas. I came in with 17 songs with the thought of recording them all and then seeing what was album worthy. Before all this, I went to Julie and Erick Gosse’s house and layed down demos in order to see what I had. Dennis Davidson played electric guitar—–we even created So Much Better nearly on the spot there in Julie’s music room. On the album, we substituted Freddie Jone’s trumpet for Dennis’s haunting line on the demo. At Julie’s, I also did a sketch of Sun Rain Love out of the blue. The charm of this ditty never left me and it made its way on the album right under the wire. I left it very sparse and under produced hopefully to balance out some of the bigger songs. Supernatural began to take on a big sound. Each song seemed to call out for attention. By the end of it, I am hoping that I gave each piece what it needed and not too much. Last summer, I took a trip to southern Germany to visit my father and reacquaint myself with Bavaria. My daughter who is all around talented took a series of photos in the artist district of Munich called Schwabing. This statue is full body and about 6 stories tall. 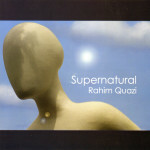 After seeing the printed out photo, I knew my album would be called Supernatural. I couldn’t stop looking at the pic. Kimberly LaForge got busy creating the album cover using another of Jess’s pics, the sky, and superimposed the head on it. I also liked the way the statue kinda resembled me tying it all together. The backdrop green also captured me from the start. Jess took it from inside a train looking out to the Bavarian countryside through a rainy window. A more beautiful color couldn’t be invented. This is simply what the camera saw. It is supernatural to me. Jess took a close of me at an outdoor café that captured my eyes. I want the album so much to be about the songs and sound. I chose not to include a whole lot of Rahim shots. We visited Dachau concentration camp and learned that inmates would sometimes get fortunate enough to eat a dandelion from the dead zone area of the compound. They would risk there lives. This pic represents to me the supernatural lives these people endured. I took this photo strip in a Salzburg photo booth for a few euro. My prized instrument that I use on many of my songs if you listen real close is the Pianorgani. It is a Farfisa air reed organ with the richest sound. Michelle Quazi took this shot. The other pic on this page is a full body shot of the statue in Schwabing. I tried to spell out what everyone contributed to the album. This really doesn’t say it all though. It isn’t only the playing that you hear, but the contemplating and working out of parts that is the album. For instance, on bass, Salim and I would sit as he played. He would get a line in his head and lay it down. I would nod and he would keep going. We would go back and forth diddling with resolving notes and such and in a few minutes a totally new bass line would be done. He has the most melodic bass fingers I have experienced. His parts always make my songs better. Rip Rowan would feel a song and go to town like a mad scientist on modern, horn, string keys, and creating effect loops. He is one of these guys that have melodic sense and technological know how. Next time around I am going to film the process more. Again, another blue sky with clouds taken by Jess makes the back and front come together. There are many thank yous. I tried to list them all, but I know I must have left some out. Creating an album takes a village kinda. This whole album started with demos at Julie and Erick Gosse’s house. There was charm in those songs which kept them moving forward. Thank you for reading all this detailed info. I hope the album feels good as you listen for a good many years.